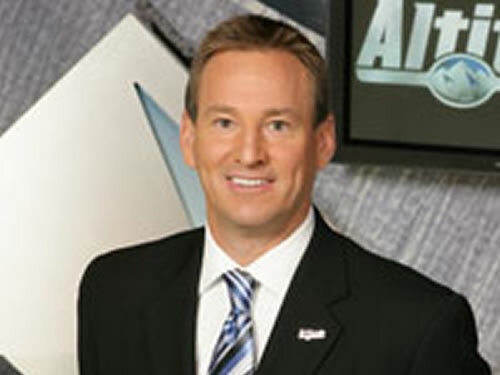 Blake Olson joined Altitude Sports & Entertainment as a Studio Host and Reporter in 2007. Here’s where you will see him on Altitude this year: High School Football (Color Commentator), College Football Summit (Host), College Basketball Summit (Host), Golf at Altitude (Reporter), Nuggets Pre-Game Host at Pepsi and Nuggets Sideline Reporter and as a Co-Host for The George Karl Show. Blake Olson comes to Altitude with a long history of broadcast experience in sports. While attending Troy University in Troy, Alabama, he served as the Sports Director at WTSU, the campus television station. After graduating from Troy University, Olson spent three years as the Sports Director at KLTV Channel 7 in Tyler, TX then moved up to Dallas, TX where he spent five years at KTVT Channel 11 as a Sports Reporter/Anchor. Most recently, he spent four years at KWGN Channel 2 as a Sports Reporter/Anchor Reporter and five years at KUSA Channel 9 as a Sports Reporter/Anchor. Blake lists his hobbies as spending time with his family, enjoying political discussions, dablling in drawing and design, and listening to R & B and Gospel music. He is proud to be a member of the Altitude team and said that working with the Nuggets was a “dream come true”. Blake and his wife Yvette reside in the Denver area and Blake says that he is blessed to have two sons and a daughter.